With the integration of modern technology such as smartphones, tablets, and electronic records into our healthcare environment, patients have come to expect both convenience and empowerment in their healthcare experiences. Affinity Patient Self-Service offers patients a simple, streamlined, and secure experience when sharing data with healthcare providers – resulting in patients who recommend your organization to others and exercise their options in the shift towards value-based reimbursement and increased choice. Empowering your patients by incorporating comprehensive patient self-service software in your organization leads to increased patient satisfaction and loyalty – directly impacting your bottom line. Give your patients the convenience, choice and control they deserve, while driving efficiency and revenue. According to a study by the Brookings Institution, overall over 60% of consumers desire technological integrations into their experience with their healthcare providers, allowing them to have more access and control over their patient information, as well as reduce waiting times. 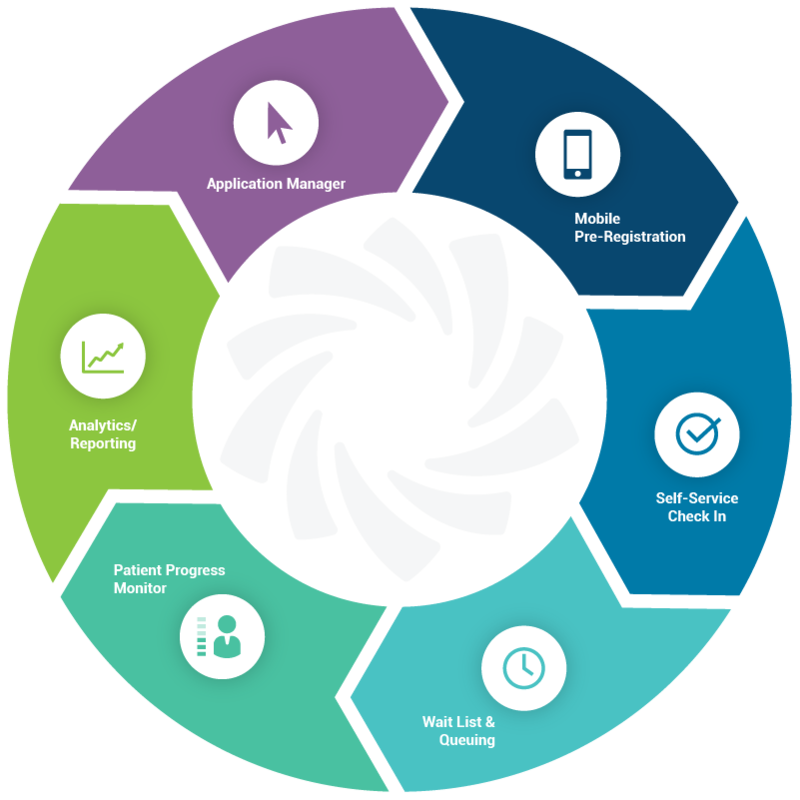 Affinity Patient Self-Service software delivers a superior and consistent patient experience while streamlining and improving patient engagement, providing instantaneous benefits for patients and staff. Make waiting a thing of the past! Give your patients the freedom to register, make decisions, and fill out necessary forms using convenient solutions (smartphones, tablets, and kiosks). Automate the check-in process to minimize front desk congestion, reduce duplicate data entry, and save time by eliminating the manual input of information. Greatly improve cash flow by collecting payments at check-in with a card reader. With a swipe of a card and mere seconds a patient can settle co-pays, outstanding balances, and even set up a payment plan that works for them. Go paperless and save trees, while improving your bottom line. You can say goodbye to paper clipboards and all of the costs associated with updating and printing forms. Put the power in patients’ hands to enhance data accuracy, privacy, and help ensure the safe delivery of care, as well as avoid claim denials. Patients can easily check in for service using a license, insurance card, or palm-vein reader at registration and update their contact and insurance information. Efficiently achieve your PCI Compliance and PA-DSS Compliance goals through check-in solutions that are Payment Application Data Security Standard certified (PCI PA-DSS). Easily integrate media such as videos, images, and slides to enhance communication of key events, promotions, and other brand messaging. Promote and educate others about your organization and ongoing programs!